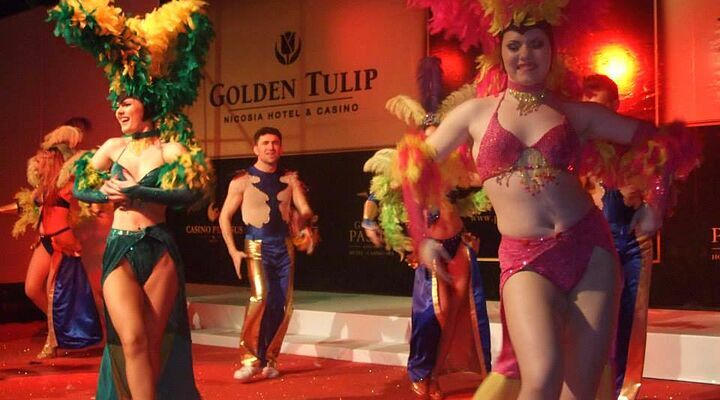 The Golden Tulip Nicosia is just what you'd expect from this renowned hotel group. 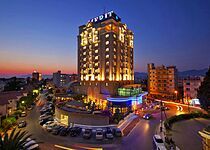 A smart, comfortable business hotel, it has all the facilities you need for a city break or holiday in Europe's only remaining divided capital city. 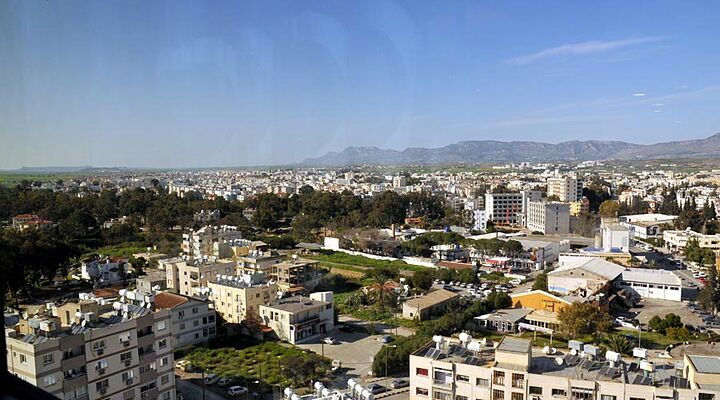 The Golden Tulip Nicosia enjoys a prestigious location near the border between North and south Cyprus, perfect for exploring this most fascinating of European cities. 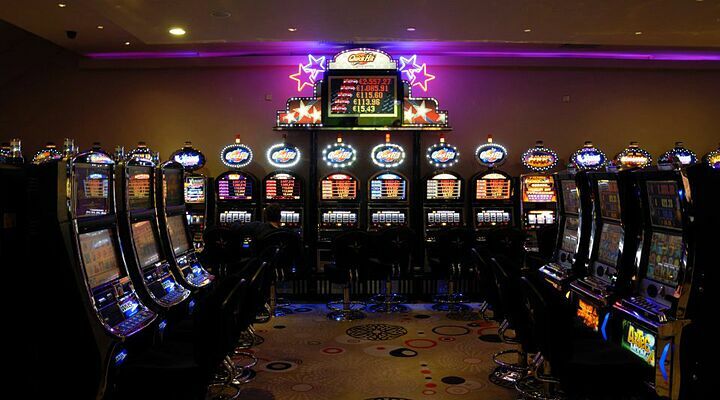 Locals and guests alike flock to the glamorous casino, where you can enjoy the glitz and theatre of nightly dance shows. 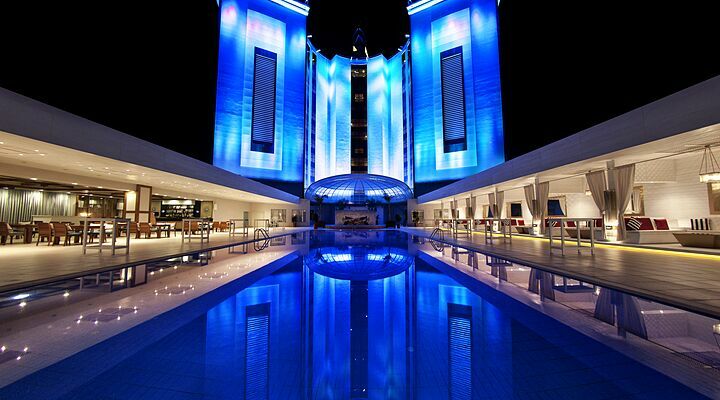 The Golden Tulip Nicosia has 134 spacious rooms in its gleaming curved glass tower. Each is decorated in contemporary, if somewhat corporate style and has all mod cons including tv, air conditioning and wifi. The hotel adds little touches to make you feel at home, including complimentary bathrobes and slippers, Azzaro Paris toiletries and Versace designer towels. For the youngest guests, babysitting/childcare services are available (charge applies). 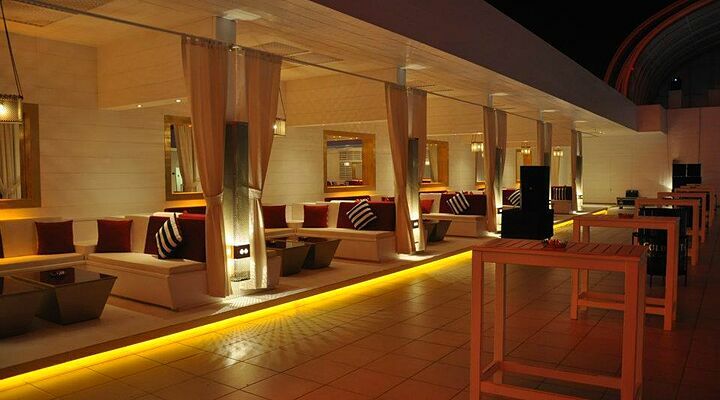 There are two disabled access rooms and two rooms for those who suffer from allergies. 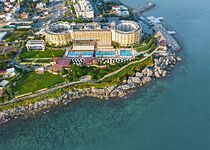 Check availability and the best rates for the Golden Tulip Hotel Lefkosa using our online instant quote form (it's on the right of this page), or call us on 0800 612, Monday - Friday 7am to 9pm, or until 4pm at weekends. 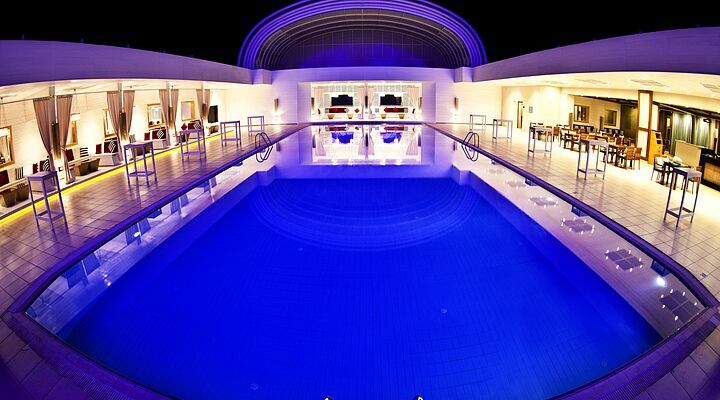 Avoid the early morning rush and you could have the Golden Tulip's stylish open-air swimming pool all to yourself. Towels are laid on each sunlounger every morning, a nice touch. 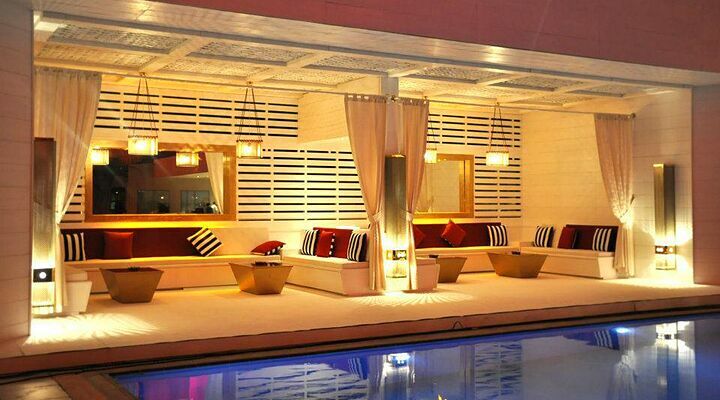 With shaded seating along one side in smart curtained alcoves and a bar area on the other, the pool becomes a venue in its own right at night, with live music and entertainment. 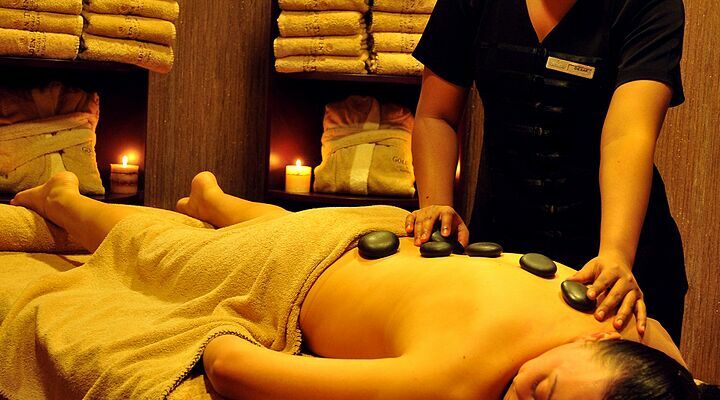 The spa has two saunas, a Turkish bath, jacuzzi and two massage rooms (bookable at reception). The fitness centre is well equipped and with treadmills and is light and airy, such a change from the usual basement hotel gyms! 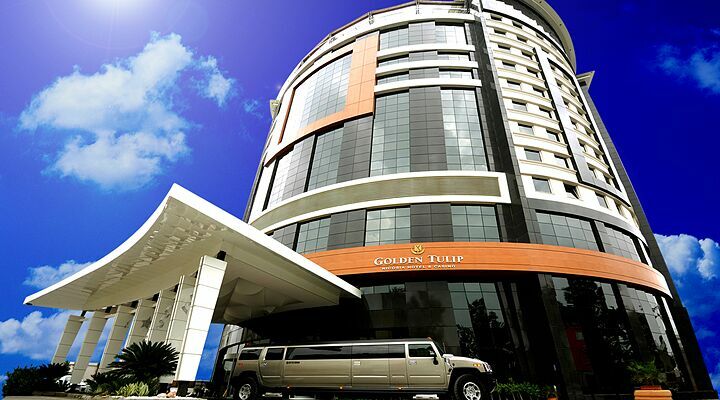 The Golden Tulip has several options for dining, and with local restaurants just a short stroll away along Dereboyu Street, you'll never be short of something tasty to eat. The hotel's Granada Restaurant is the venue for a substantial buffet breakfast, and is open all day for lunches and dinners. The Polanco Restaurant next to the pool serves a fresh fruit buffet all day that's a welcome treat after a day's sightseeing in summertime Nicosia. 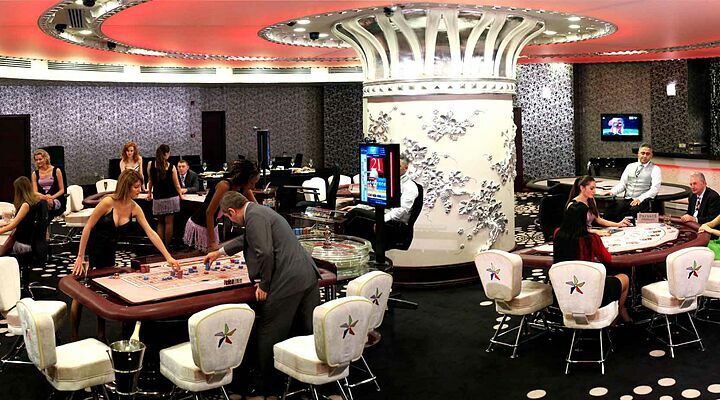 The 24 hour Pasillo Lobby Bar serves finger food, afternoon tea and tempting desserts and drinks. 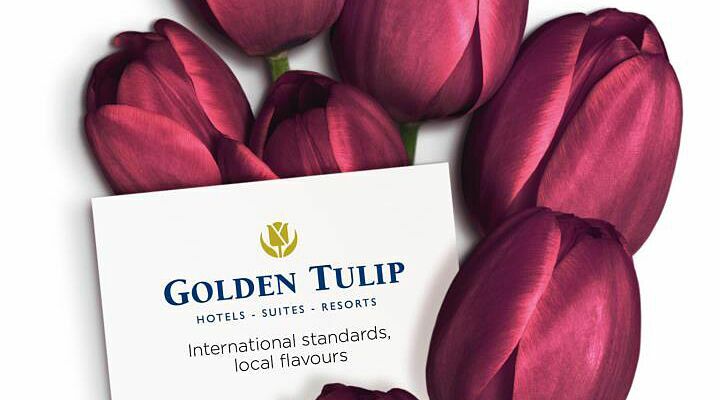 The Golden Tulip is located in the Turkish sector of Nicosia, not far from the former Cathedral of St Sophia, the fascinating stalls of the Bazaar, and the contemporary shopping on Ledra Street. 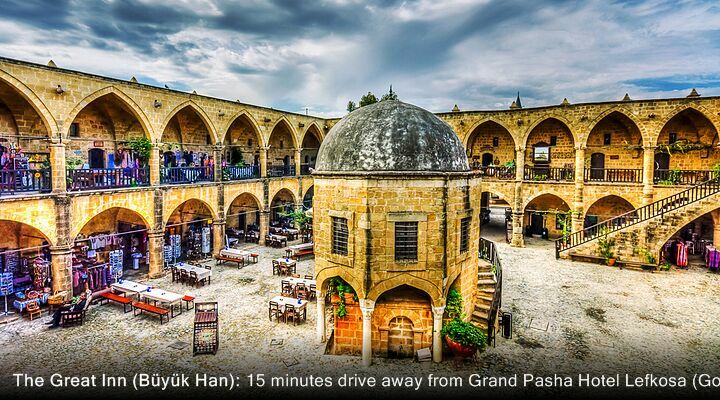 Discover Turkish baths in old churches, restaurants nestling in old ruins, and the arts and crafts at the Grand Inn (Buyuk Han). You can also walk over the border to south Cyprus through the famous Ledra Street gate; just remember to take your passport! 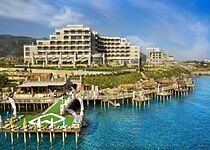 Please note that this 4 star Nicosia hotel is a popular venue for business conferences and weddings, so at certain times parts of the hotel might be closed, such as the pool areas. 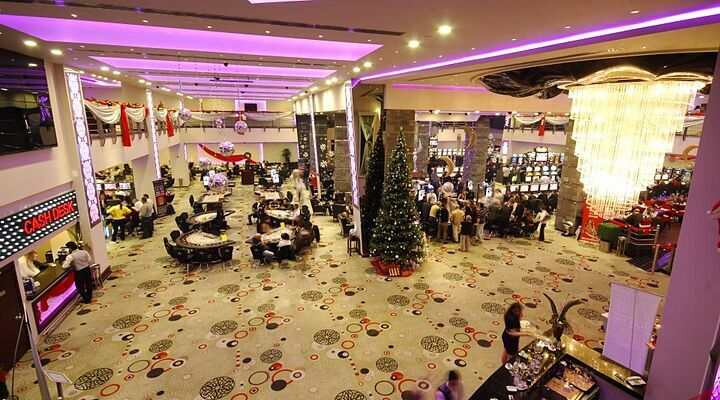 Also, visitor numbers increase at the weekends with people from Cyprus and Turkey enjoying the casino, but this rarely impacts on hotel guests. 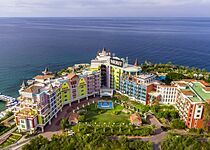 Located just 25km from Ercan Airport, a private taxi transfer can whisk you from hotel lobby to airport check-in in as little as 15 minutes. 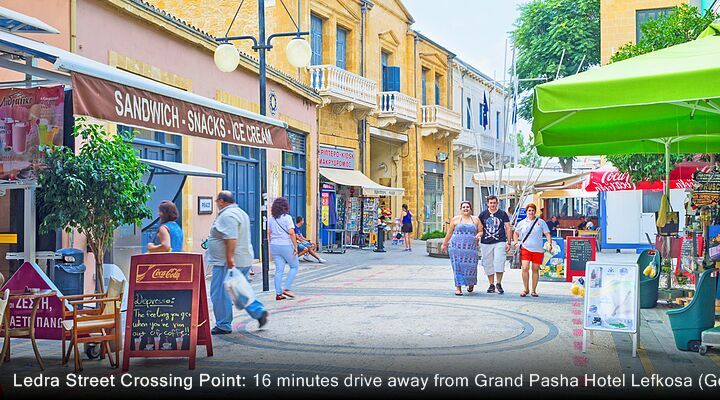 So, you can spend more time exploring Nicosia and less time watching the departure board for your flight from North Cyprus!